Learning analytics, educational data mining, formative assessment, are all recent buzz words in educational research. In principle, the idea is to find theoretical frameworks, models, procedures, and smart tools to collect, aggregate, analyse, reason on and visualize large scale educational data. LEA’s BOX aims at (a) making educational assessment and appraisal more goal-oriented, pro-active, and beneficial for students, and (b) at enabling formative support on the basis of a wide range of information about learners for teachers and other educational stakeholders. 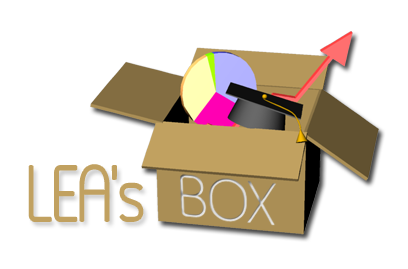 LEA’s BOX is a learning analytics toolkit and aims at a competence-centred, multi-source learning analytics methodology based on the foundations of sound psycho-pedagogical models, intelligent model-based reasoning services, innovative visualization techniques, tailored to the very concrete demands and requirements of teachers and learners. Therefore, the project is going to build upon the significant and well acknowledged body of existing work in the field of learning analytics and aims to enrich that with two distinct advancements:- Contribute reasoning algorithms and services on the basis of valid competence-centred psycho-pedagogical frameworks (Competence-based Knowledge Space Theory and Formal Concept Analysis)- Contribute novel approaches to visualizing activity/performance/achievement data by utilizing methods such as structural Hasse diagrams. Immediate benefits for educators will be the potential to link multiple sources of educationally relevant data in a simple way, automatically aggregate and analyze the data with a focus on competencies, a gain in-depth, and a competence-oriented view of learning progress. LEA’s occurs in direct cooperation with a broad basis of partner schools and teachers in the Czech Republic and in Turkey. The project starts in March 2014 and will run for 33 months. Our working group is coordinating the project, the partners are the University of Birmingham, UK, and the corporate partners Scio in the Czech Republic and Sebit in Turkey.